Could You Be Living On A Sinkhole? 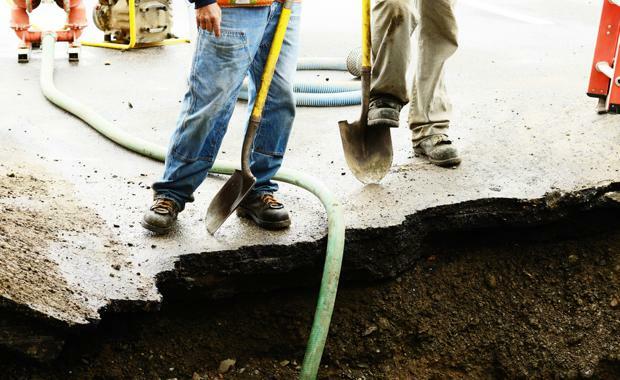 Leading industry experts have acknowledged the very real and ever-emerging threat of sinkholes, and are warning home buyers to conduct the recommended searches prior to purchasing a property to avoid unnecessary risk. GlobalX Legal Solutions CEO Peter Maloney said the recent case of an Ipswich family who discovered a sinkhole on their property highlights just how important it is for home owners to conduct thorough due diligence to avoid nasty surprises once the property has settled. “We now have better data, details and information available to buyers in more convenient ways to inform their decision making process,” he said. “There’s just no excuse for not performing these basic searches. Mr Maloney said many sinkholes are caused by subsidence, which is the lowering or settling down of the land’s surface. “Subsidence can result from natural causes, but can also occur from human activity such as underground mining, the extraction of ground water, and the settlement of fill soils,” he said. “Buyers can easily conduct a search to see if undermining has occurred on their property or potential property, which will help in the investigation phase of the property buying process. Mr Maloney said for areas with heavy traditional undermining or exploration, people should take extra care to ensure they are building on stable land. “We understand a deterrent to conducting extra searches is the associated additional costs, but undermining searches can be completed for as low as $6 in Victoria, $42 in Queensland and $75 in New South Wales – well worth the investment for peace of mind,” he said.